Stiff nylon bristles agitate fabric and carpet pile to work the dirt loose . The bristles are angled to create a flicking action as they work through carpet pile - popping the dirt up into the airflow. Gaps between the bristles make the brush easier to push and prevent it sticking to surfaces. 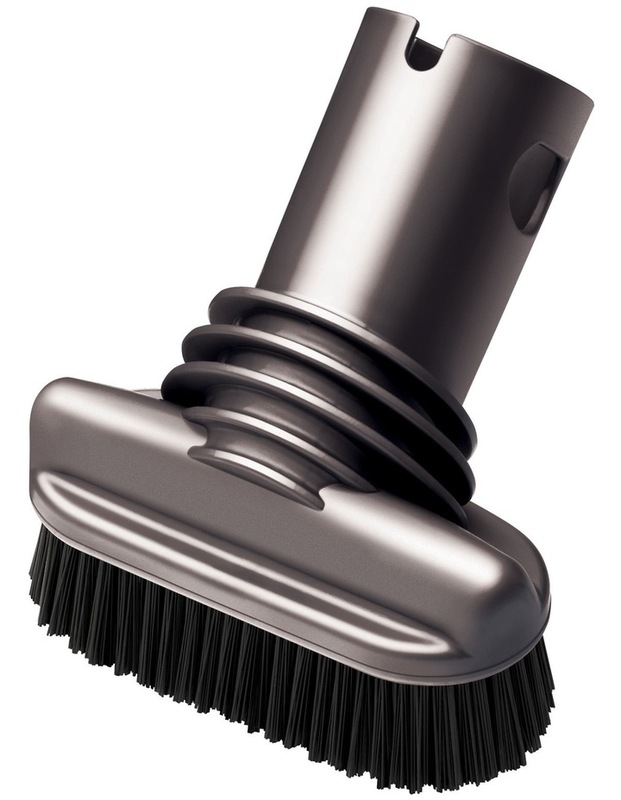 The Stubborn dirt brush is made of tough polypropylene for strength and durability. Suitable for all Dyson machines.